Home > Diet and Weight Loss, Food and Drink, Heart Health	> Book Review: Always Hungry? Ultimately, I decided to review Always Hungry? for a few reasons. First, the dietary guidelines presented within its pages differ from the eating plan I used to lose weight and maintain my progress. Then there’s, Dr. David Ludwig, the preeminent author of the book. He’s been at the forefront of nutrition and weight related research for over two decades. Dr. Ludwig is a highly respected endocrinologist at Boston Children’s Hospital and a professor of pediatrics at Harvard Medical School. What’s more, the book is not only the sum total of Dr. Ludwig’s clinical findings and research but, most impressively, the diet program itself was tested in a large pilot study prior to putting pen to paper. This is a rarity indeed! To start, Dr. Ludwig closes the door on the antiquated “calories in, calories out” theory of weight balance. Instead, he postulates that a combination of inflammation and insulin resistance detrimentally affect the way our fat cells and metabolism behave. And, this dysfunction directly contributes to destructive eating and lifestyle habits. Thankfully, this can be changed rather quickly by applying the principles outlined in a three-phase protocol. Phase 1: This two-week period consists of a high-fat (50%), low-carbohydrate (25%) and moderate protein (25%) diet that is free of added sugar, alcohol, grains and most starches. The goal with this initiation is to “jump-start weight loss”. Phase 2: The bulk of the body and brain’s transformation occurs here. This phase varies in duration based on how much weight loss is needed. A less restrictive food plan is followed for this period: 40% fat, 25% protein and 35% low glycemic load carbohydrates. Small amounts of alcohol, starchy vegetables (but, no white potatoes) and whole-kernel grains are permitted. This middle phase is intended to rev up your metabolism and lower your body weight set point. Phase 3: The final stage of the program is meant as a long term lifestyle approach. The macronutrient breakdown shifts slightly to a more Mediterranean diet formula of 40% fat, 20% protein and 40% carbohydrates. The third phase allows for experimenting with some previously off-limit foods, including occasional refined carbohydrates and sweets. Reverting back to the second or, even, the first phase is an option for those who find that Phase 3 leads to cravings or weight gain. According to Dr. Ludwig, this approach works exceedingly well because it retrains fat cells to release stored energy – primarily in phase two. This, along with the higher fat content of the diet, promotes a pleasant feeling of fullness, enhanced energy and mood and a reduction in a variety of cardiometabolic risk markers. In addition to diet, tips are offered to slowly increase physical activity, improve stress management and promote healthier sleep. All three are vitally important to the success of the program. Supplements play a lesser role. In fact, only three are specifically recommended: fish oil, probiotics and vitamin D3. 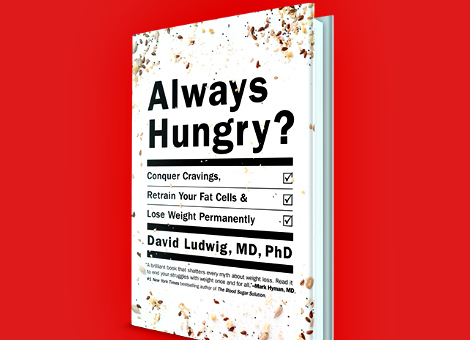 Unlike many diet programs, Dr. Ludwig doesn’t emphasize quick results. Instead, he offers daily worksheets to aid with a more mindful, progressive strategy for long term weight loss and wellness. And, he believes that changes in body composition, such as a decline in waist circumference, are more important than the often temporary changes in overall weight that occur on more severe diets. There’s a lot more to the Always Hungry Solution than I’ve described here. There are plenty of practical suggestions to ensure success for anyone who’s willing to try it out. For instance, prior to beginning phase one, there’s a one week lead-in which helps you to slowly prepare yourself for this lifestyle shift. There are tips about eating in restaurants, food preparation, kitchen tools you’ll need, a shopping list and dozens of recipes that most people can manage in less than a half hour. Dr. Ludwig even delves into the arena of consumer and governmental approaches that he believes can help turn the growing tide of obesity. I do have some minor quibbles with certain aspects of the book. For instance, if I were to attempt this diet, I would likely omit select groups of foods that are allowed in the program – grains, most legumes and soy. In my opinion, there are better tolerated and more nutritious alternatives available. But, in fairness, one is encouraged to modify specifics of the diet based on one’s own needs and preferences. If you do better with fewer carbs, go for it. Don’t do well with dairy? Skip it. Is gluten a problem? There are plenty of other options to choose from. This is where the mindfulness-inspired Daily Tracker worksheet and Monthly Progress Chart come in handy. You keep close tabs on how food combinations, meals and snacks affect your emotions, hunger and overall well-being and adjust based on your findings. All told, I consider Always Hungry? an outstanding example of a holistic take on weight and wellness management, and encourage those seeking to make these important changes to read the book. Lancet Diabetes Endocrinol. 2015 Dec;3(12):968-79. Effect of low-fat diet interventions versus other diet interventions on long-term weight change in adults: a systematic review and meta-analysis. Tobias DK1, Chen M2, Manson JE3, Ludwig DS4, Willett W5, Hu FB5. BACKGROUND: The effectiveness of low-fat diets for long-term weight loss has been debated for decades, with many randomised controlled trials (RCTs) and recent reviews giving mixed results. We aimed to summarise the large body of evidence from RCTs to determine whether low-fat diets contribute to greater weight loss than participants’ usual diet, low-carbohydrate diets, and other higher-fat dietary interventions. METHODS: We did a systematic review and random effects meta-analysis of RCTs comparing the long-term effect (≥1 year) of low-fat and higher-fat dietary interventions on weight loss by searching MEDLINE, Embase, Cochrane Central Register of Controlled Trials (CENTRAL), and Cochrane Database of Systematic Reviews to identify eligible trials published from database inception up until July 31, 2014. We excluded trials if one intervention group included a non-dietary weight loss component but the other did not, and trials of dietary supplements or meal replacement drink interventions. Data including the main outcome measure of mean difference in weight change between interventions, and whether interventions were intended to lead to weight loss, weight maintenance, or neither, were extracted from published reports. We estimated the pooled weighted mean difference (WMD) with a DerSimonian and Laird random effects method. FINDINGS: 3517 citations were identified by the search and 53 studies met our inclusion criteria, including 68 128 participants (69 comparisons). In weight loss trials, low-carbohydrate interventions led to significantly greater weight loss than did low-fat interventions (18 comparisons; WMD 1·15 kg [95% CI 0·52 to 1·79]; I(2)=10%). Low-fat interventions did not lead to differences in weight change compared with other higher-fat weight loss interventions (19 comparisons; WMD 0·36 kg [-0·66 to 1·37; I(2)=82%), and led to a greater weight decrease only when compared with a usual diet (eight comparisons; -5·41 kg [-7·29 to -3·54]; I(2)=68%). Similarly, results of non-weight-loss trials and weight maintenance trials, for which no low-carbohydrate comparisons were made, showed that low-fat versus higher-fat interventions have a similar effect on weight loss, and that low-fat interventions led to greater weight loss only when compared with usual diet. In weight loss trials, higher-fat weight loss interventions led to significantly greater weight loss than low-fat interventions when groups differed by more than 5% of calories obtained from fat at follow-up (18 comparisons; WMD 1·04 kg [95% CI 0·06 to 2·03]; I(2)=78%), and when the difference in serum triglycerides between the two interventions at follow-up was at least 0·06 mmol/L (17 comparisons; 1·38 kg [0·50 to 2·25]; I(2)=62%). INTERPRETATION: These findings suggest that the long-term effect of low-fat diet intervention on bodyweight depends on the intensity of the intervention in the comparison group. When compared with dietary interventions of similar intensity, evidence from RCTs does not support low-fat diets over other dietary interventions for long-term weight loss. FUNDING: National Institutes of Health and American Diabetes Association. PLoS Med. 2015 Sep 22;12(9):e1001878. Bertoia ML1, Mukamal KJ2, Cahill LE3, Hou T4, Ludwig DS5, Mozaffarian D6, Willett WC7, Hu FB7, Rimm EB7. BACKGROUND: Current dietary guidelines recommend eating a variety of fruits and vegetables. However, based on nutrient composition, some particular fruits and vegetables may be more or less beneficial for maintaining or achieving a healthy weight. We hypothesized that greater consumption of fruits and vegetables with a higher fiber content or lower glycemic load would be more strongly associated with a healthy weight. METHODS AND FINDINGS: We examined the association between change in intake of specific fruits and vegetables and change in weight in three large, prospective cohorts of 133,468 United States men and women. From 1986 to 2010, these associations were examined within multiple 4-y time intervals, adjusting for simultaneous changes in other lifestyle factors, including other aspects of diet, smoking status, and physical activity. Results were combined using a random effects meta-analysis. Increased intake of fruits was inversely associated with 4-y weight change: total fruits -0.53 lb per daily serving (95% CI -0.61, -0.44), berries -1.11 lb (95% CI -1.45, -0.78), and apples/pears -1.24 lb (95% CI -1.62, -0.86). Increased intake of several vegetables was also inversely associated with weight change: total vegetables -0.25 lb per daily serving (95% CI -0.35, -0.14), tofu/soy -2.47 lb (95% CI, -3.09 to -1.85 lb) and cauliflower -1.37 lb (95% CI -2.27, -0.47). On the other hand, increased intake of starchy vegetables, including corn, peas, and potatoes, was associated with weight gain. Vegetables having both higher fiber and lower glycemic load were more strongly inversely associated with weight change compared with lower-fiber, higher-glycemic-load vegetables (p < 0.0001). Despite the measurement of key confounders in our analyses, the potential for residual confounding cannot be ruled out, and although our food frequency questionnaire specified portion size, the assessment of diet using any method will have measurement error. CONCLUSIONS: Increased consumption of fruits and non-starchy vegetables is inversely associated with weight change, with important differences by type suggesting that other characteristics of these foods influence the magnitude of their association with weight change. Obesity (Silver Spring). 2015 Nov;23(11):2216-22. Relationship of insulin dynamics to body composition and resting energy expenditure following weight loss. Hron BM1,2, Ebbeling CB2,3, Feldman HA4, Ludwig DS2,3. OBJECTIVE: To examine associations of baseline insulin dynamics with changes in body composition and resting energy expenditure (REE) following weight loss. METHODS: Twenty-one participants with overweight or obesity achieved 10-15% weight loss and then received 3 weight loss maintenance diets (high-carbohydrate, moderate-carbohydrate, and low-carbohydrate) in random order, each for 4 weeks. Body composition was measured at baseline and after weight loss. Insulin 30 min after glucose consumption (insulin-30; insulin response), C-peptide deconvolution analysis, HOMA, hepatic insulin sensitivity (IS), and REE were assessed at baseline and after each maintenance diet. RESULTS: Insulin-30, but not maximal insulin secretion, hepatic IS, or HOMA, predicted changes in fat mass (standardized β = 0.385, 1.7 kg difference between 10th and 90th centile of insulin-30, P = 0.04) after weight loss. Insulin-30 (β = -0.341, -312 kcal day(-1) , P = 0.008), maximal insulin secretion (β = -0.216, -95 kcal day(-1) , P = 0.0002), HOMA (β = -0.394, -350 kcal day(-1) , P = 0.002), and hepatic IS (β = 0.217, 225 kcal day(-1) , P = 0.0003) predicted change in REE during weight loss maintenance, independent of changes in body composition. The inverse relationship between insulin-30 and REE was substantially attenuated when the low-carbohydrate diet was consumed first. CONCLUSIONS: These findings distinguish a novel phenotype, characterized by high insulin response, at risk for weight regain, and identify a dietary approach to ameliorate this risk. Your review recommends the reading of this authorative book, and I plan to do it in the new year! Thank you for guiding us in choosing great sources of guidance for our good health quest! Keep up you great passion ! That’s my plan … to remain passionate! Dietary flavonoid intake and weight maintenance: three prospective cohorts of 124 086 US men and women followed for up to 24 years. OBJECTIVE: To examine whether dietary intake of specific flavonoid subclasses (including flavonols, flavones, flavanones, flavan-3-ols, anthocyanins, and flavonoid polymers) is associated with weight change over time. DESIGN: Three prospective cohort studies. PARTICIPANTS: 124 086 men and women participating in the Health Professionals Follow-up Study (HPFS), Nurses’ Health Study (NHS), and Nurses’ Health Study II (NHS II). MAIN OUTCOME MEASURE: Self reported change in weight over multiple four year time intervals between 1986 and 2011. RESULTS: Increased consumption of most flavonoid subclasses, including flavonols, flavan-3-ols, anthocyanins, and flavonoid polymers, was inversely associated with weight change over four year time intervals, after adjustment for simultaneous changes in other lifestyle factors including other aspects of diet, smoking status, and physical activity. In the pooled results, the greatest magnitude of association was observed for anthocyanins (-0.23 (95% confidence interval -0.30 to -0.15) lbs per additional standard deviation/day, 10 mg), flavonoid polymers (-0.18 (-0.28 to -0.08) lbs per additional SD/day, 138 mg), and flavonols (-0.16 (-0.26 to -0.06) lbs per additional SD/day, 7 mg). After additional adjustment for fiber intake, associations remained significant for anthocyanins, proanthocyanidins, and total flavonoid polymers but were attenuated and no longer statistically significant for other subclasses. CONCLUSIONS: Higher intake of foods rich in flavonols, flavan-3-ols, anthocyanins, and flavonoid polymers may contribute to weight maintenance in adulthood and may help to refine dietary recommendations for the prevention of obesity and its potential consequences. Physiol Behav. 2016 Mar 3. Short-term effects of chewing gum on satiety and afternoon snack intake in healthy weight and obese women. Afternoon snacking contributes significantly to total energy intake. Strategies to enhance the satiety value of lunch and reduce afternoon snacking are of interest for body weight management. To assess whether between-meal gum chewing would enhance the satiety response to a fixed lunch meal; and assess the role of cholecystokinin (CCK) as a potential mediator of the response in non-obese healthy weight and obese women. Fifty unrestrained obese (n=25) and non-obese healthy weight (n=25) women participated in a two-arm cross-over study assessing multiple (15min per hour×3h) gum chewing (GUM) occurrences or no gum (Control) on subjective ratings of satiety, subsequent sweet and salty snack intake, CCK and general metabolic responses. 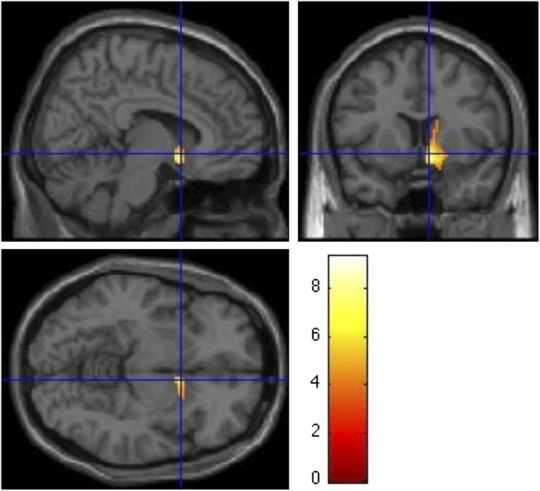 GUM compared to Control resulted in significant suppression of hunger, desire to eat and prospective consumption (p<0.05). Total snack energy intake was reduced ~9.3% by GUM, but not significantly different from Control (p=0.08). However, overall carbohydrate intake was reduced by GUM (p=0.03). This was consistent with a reduction in snacks characterized as high carbohydrate, low fat (p=0.02). BMI specific effects indicated GUM reduced pretzel intake in obese women (p=0.05) and Oreo cookie intake in healthy weight women (p=0.03) 3h after lunch. Metabolic responses and CCK did not differ between experimental conditions. Chewing gum intermittently post-lunch enhances perceptions of satiety and may have important implications in reducing afternoon high carbohydrate-snack intake. Lifespan Weighed Down by Diet. Hi JP thanks so much for this review – interestingly, I’ve gradually modified my own diet over the years of self awareness/experimentation to become quite similar to stay to the Phase 2 of Dr Ludwig’s diet, I find that keeping the sugars and carbs away help me to keep the weight off and keep my focus (my body’s sensitive to sugars, so I get high easily and crash quickly too, sadly). There are so many clashing information out there, including Tim Ferriss’ slow carbs diet, Atkins, paleo etc, and I recommend that people experiment and test to see what/which works for them. I agree. No one diet is appropriate for everyone. We are all unique. IMO, a good starting point is to include as many minimally processed and/or whole foods in one’s diet as possible. In general, emphasizing nutrient density and avoiding high-glycemic carbohydrate works well for most people too.